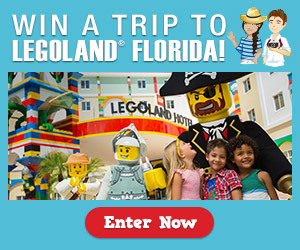 Little Passports, LEGOLAND® Florida Resort and Southwest Vacations are getting together for a spectacular giveaway package worth more than $3,500! It’s a #builtforkids family vacation, and you can enter today. A two-night stay for four people at the LEGOLAND Florida Hotel. Roundtrip airfare for four people via Southwest Airlines to Orlando (MCO) compliments of Southwest Vacations. A family four-pack of tickets for admission to LEGOLAND Florida Theme Park plus the LEGOLAND Florida Water Park. Legaleze: LEGO, the LEGO logo, the Brick and Knob configuration, the Minifigure and LEGOLAND are trademarks of the LEGO Group. @2016 The LEGO Group. No purchase necessary to enter or win. A purchase will not increase your chance of winning. Void where prohibited. Open to legal residents of USA, age 21 and older at the time of entry. Approximate retail value of prize $3787. Sweepstakes will be open from July 1, 2016 at 8:00 a.m. PT through July 31, 2016 at 11:59 p.m. PT. 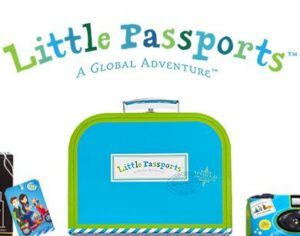 For complete details, odds, and official rules, www.littlepassports.com/sweepstakes. Sponsors: Little Passports, LEGOLAND Florida and Southwest Vacations.